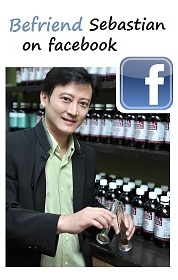 An educational newsletter on Naturopathic Phytotherapy, by Medical Herbalist Sebastian Liew. What is a wholistic lifestyle? Why you need a wholistic solution? Copyright © 2013, Sebastian Liew Centre Pte. Ltd. All rights reserved. No part of this material may be reproduced in whole or part, or stored in a retrieval system, or transmitted in any form or by any means, electronic, mechanical, photocopying, recording, or otherwise, without the written permission of Sebastian Liew Centre Pte. Ltd. For information regarding permission, please email to sebastianliew@slnaturopath.com . The information contained on this site is for educational purpose only. We encourage our readers to seek out a competent health professional for any treatment required. We do not take responsibility for the use of information contained in any article published in our journal or diary by the reader. We do, however, caution readers of possible unintended consequences of self–medication, and that the consultation of a competent health professional is always advisable.